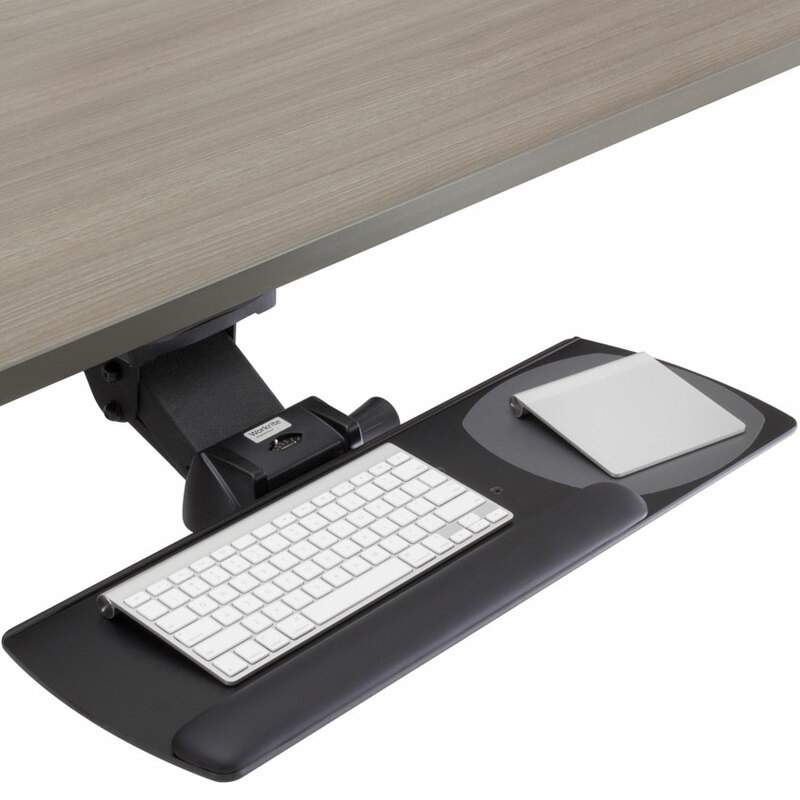 Designed for limited depth, straight worksurfaces and shallow keyboards that are less than 6″ deep. 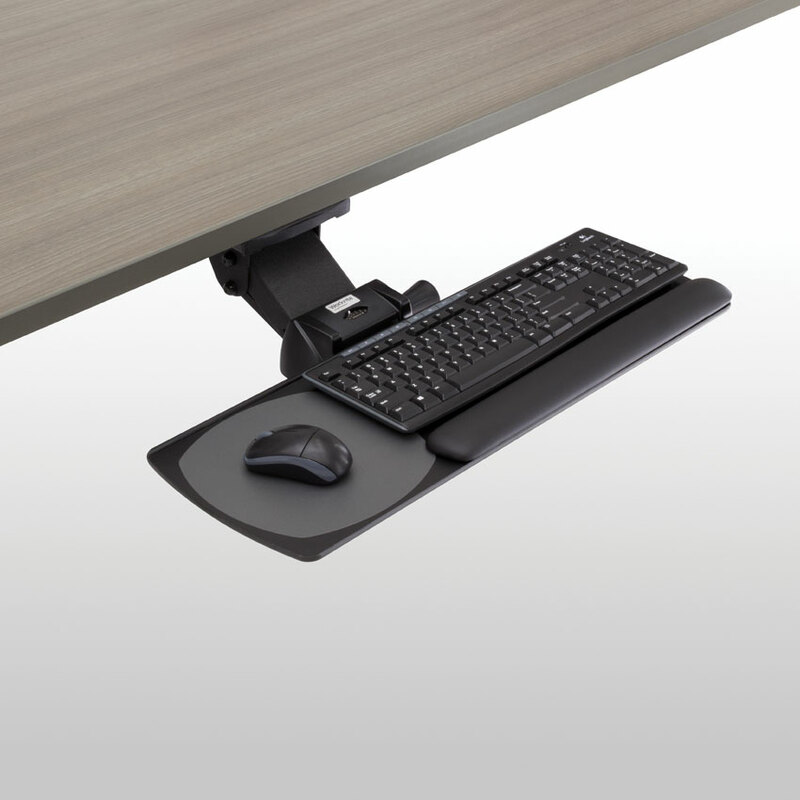 The removable palm support adjusts easily from side to side to accommodate both right or left mouse use. 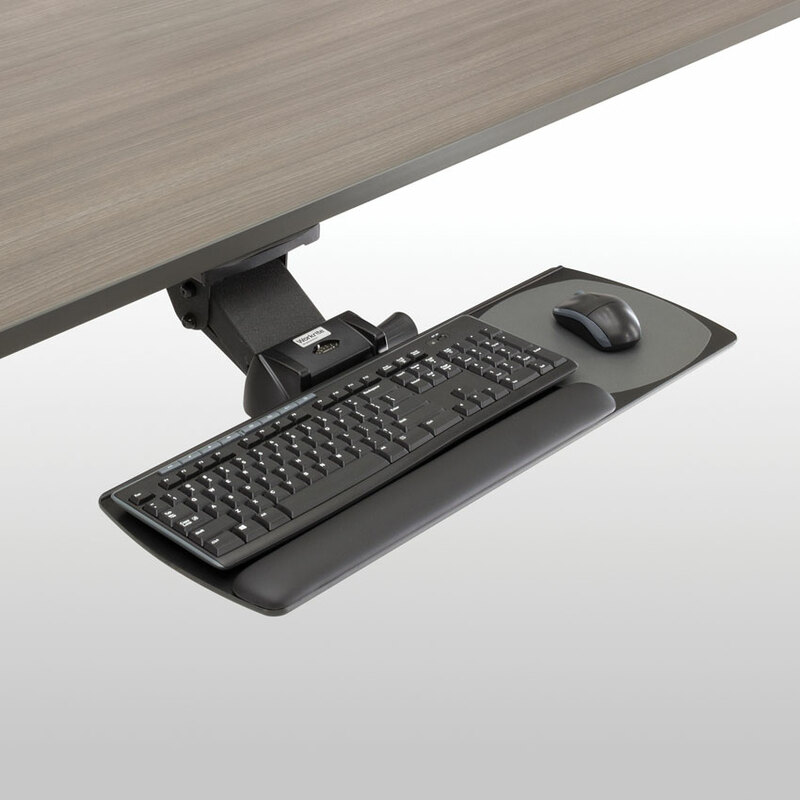 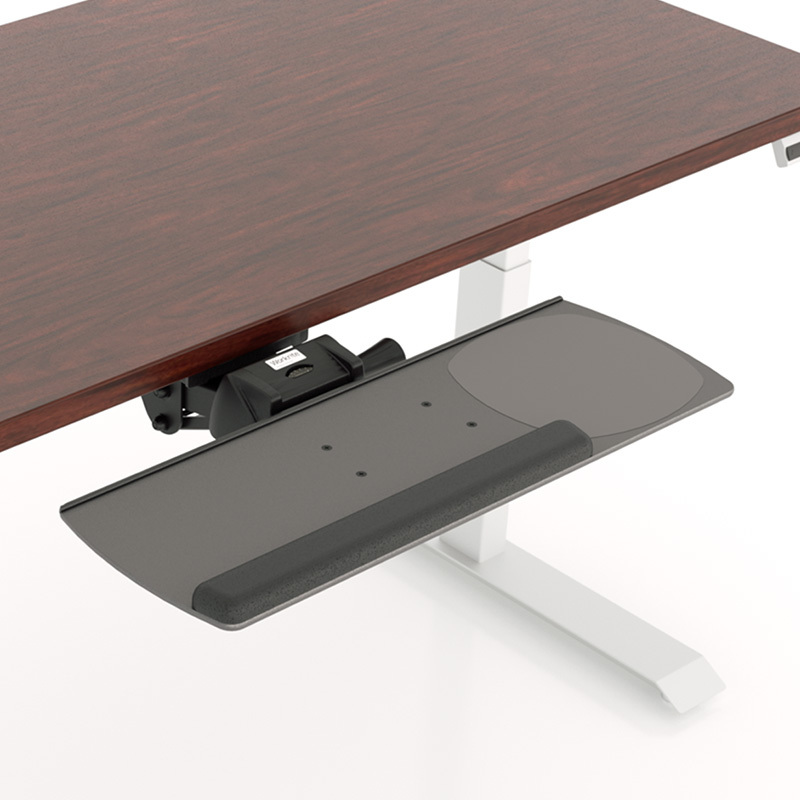 Includes our Pinnacle 2 Value adjustable keyboard arm with nylon glide track. 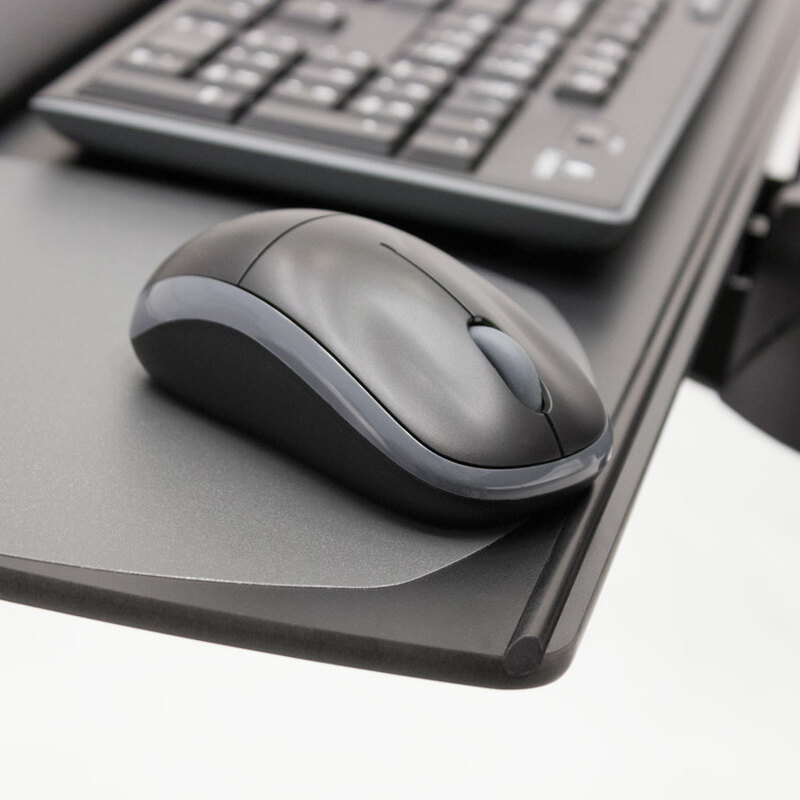 Ultra-thin phenolic platform with integral mouse trap backed by our lifetime warranty provides years of dependable quality and performance.